Determined to make a positive impact. 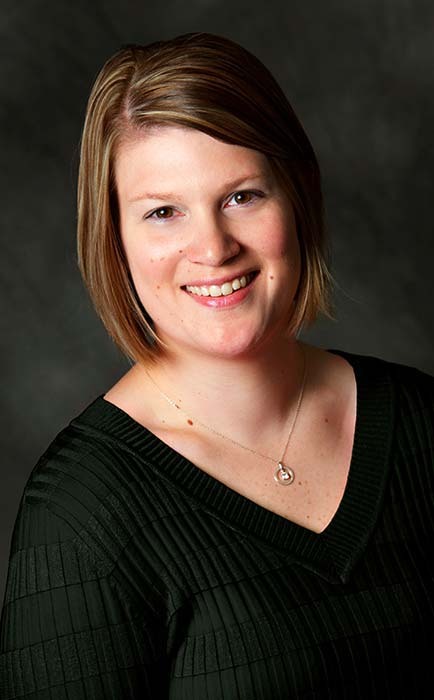 Megan Manzke is the Human Resources Director for Simonson’s Salon & Spa. She is a talented business partner and liaison for the executive team and the team members at Simonson’s. In her role, she is responsible for fostering an inclusive culture of quality experience, diversity, and team member engagement. She administers recruitment, new team member orientations, healthcare and retirement benefits, and payroll. She informs the team of changes in healthcare, safety regulations, and employment laws. She also enforces compliancy with required licenses for all technicians. Megan graduated from the University of Wisconsin Stevens Point with her bachelor’s in business administration in May of 2011. After graduation, she worked in the insurance industry before taking a job as a talent specialist with Pro Staff in the summer of 2012. Before joining Simonson’s, she gained a wide-range of experience from Olympic Steel where she worked as the human resources administrator for two and a half years. Megan grew up in a small, rural town in Wisconsin with her two sisters, and relocated to Minnesota to be with her fiancé, now husband. She now resides in Big Lake with her husband Aaron and son Landon. Megan’s drive and ambition makes her a great fit for Simonson’s.